Cali: Look at this one! 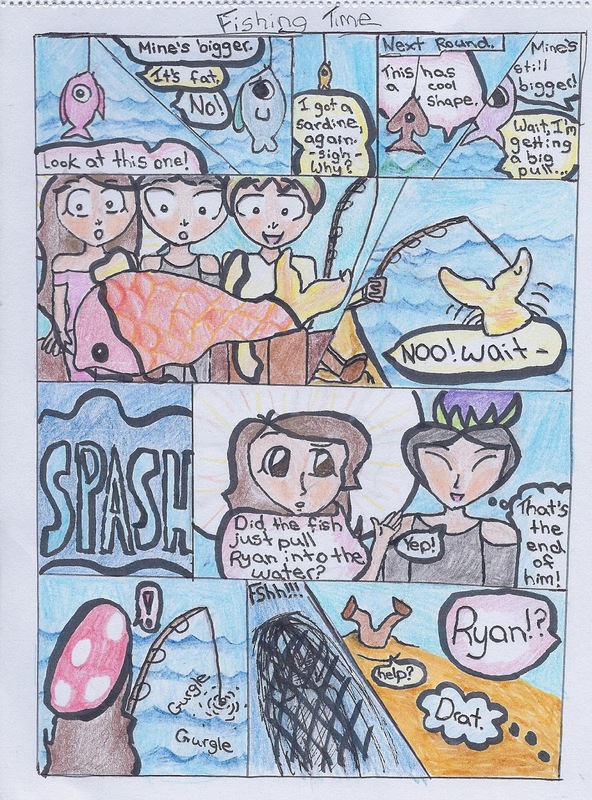 Ryan: I got a sardine, again. -sigh- Why? Cali: This has a cool shape. Ryan: Wait, I'm getting a pull . . .
Cali: Did the fish just pull Ryan into the water? Karen: Yep! That's the end of him!